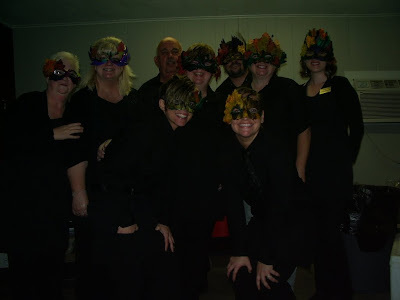 The Jena Merchants Association held their 1st Annual Fall Masquerade Ball on Saturday, November 21, 2009 at the Fair Barn in Jena, LA. The evenings activities will help renovate the old Strand Theatre in Jena. The evening was very formal with the presentation of the King and Queen and performances by dancers and musicians. Lovely ball gowns were worn by the fine ladies of Jena. 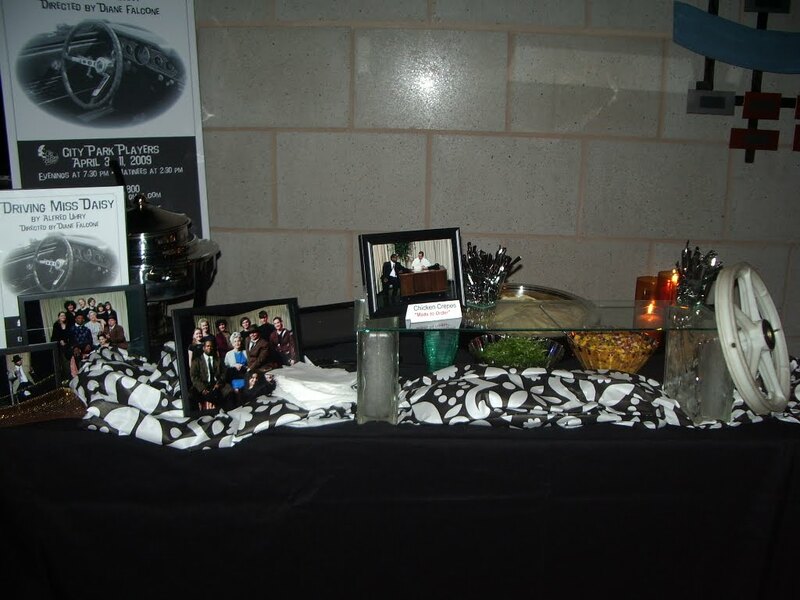 A wonderful silent auction featured local artists and artisans. 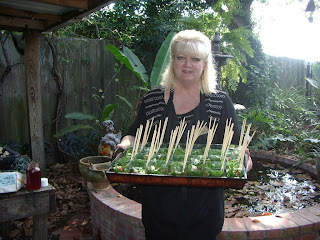 Guests enjoyed our shrimp and crawfish bowtie pasta, inside round roast, peppered pork loin with freshly baked rolls, bacon dates, stuffed new potatoes, asparagus rolls, marscarpone with fresh berries, fresh fruit and crudites, chocolate espresso mousse, apple crisp, almond iced tea and raspberry punch. 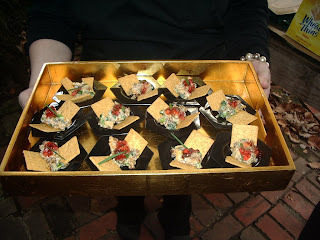 Staff members wearing masquerade masks passed salmon mousse, asparagus roll ups and voodoo before dinner. Best Catered Events, can we travel to your area to exceed your expectations? City Park Players held their annual gala on Friday, November 20, 2009 at Coughlin Sanders Auditorium in downtown Alexandria, LA. 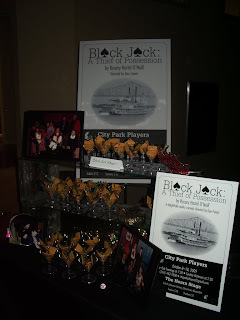 our sweet and sour meatballs and chicken pasta, while Black Jack featured our Black Jack Magic. 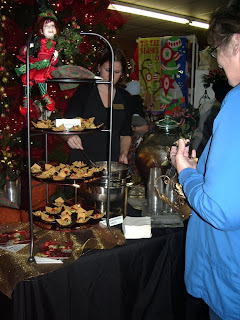 Staff members Wendy Chapman, Shawna Anderson, Jenny Dunkley, Sara Richardson, Pat Jones and Kathy Jones attended to the guests with passed appetizers for the opening ceremony. 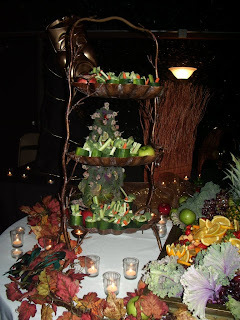 The evening ended with dessert being served upon exit. Best Catered Events....can we cater for you? 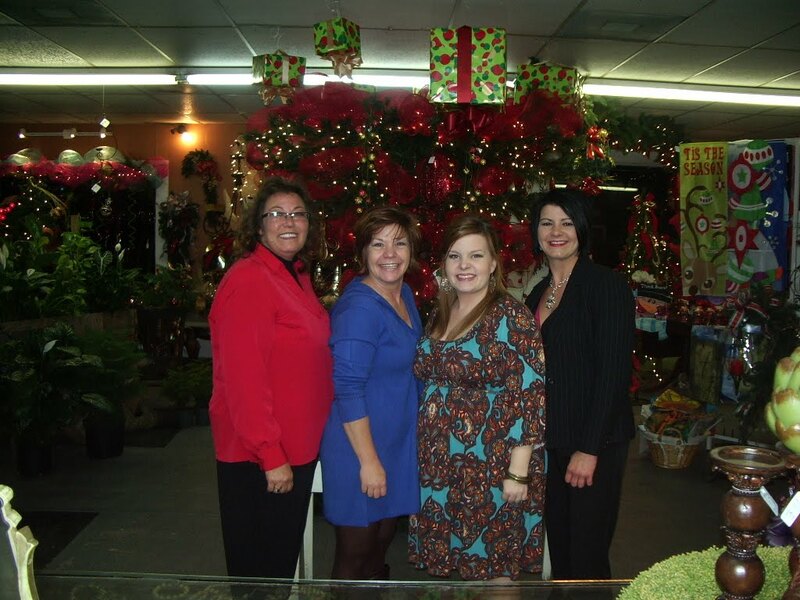 Best Catered Events participated in Jo Jo's Florist Holiday Open House tonight. We had a great evening visiting with all the shoppers. JoJo's son in law played the guitar and sang. What a nice touch. 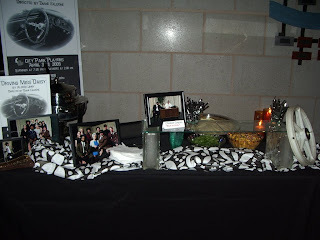 We served Voodoo, Chicken Cordon Bleu Pasta and almond iced tea. The shop was overflowing with treasures when we arrived and after 3 hours of frantic shopping, it was really looking bare! The customers loved all the neat finds and the 15% discount helped as well. This chef/owner even made a couple of purchases. Such a nice evening. I enjoyed visiting with some of my regular and new customers. 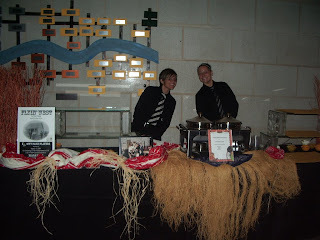 We even booked an event! Thank you to JoJo and staff! Best Catered Events joined Rick Ferguson Flowers for a Holiday Open House today. Lots of shoppers came by to tour the shop and get an early jump on holiday shopping. 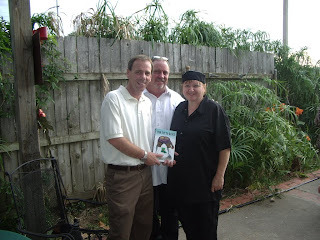 We were joined by David Luck, a local Alexandria, LA author who signed copies of his newest book, Too Fat To Dance. 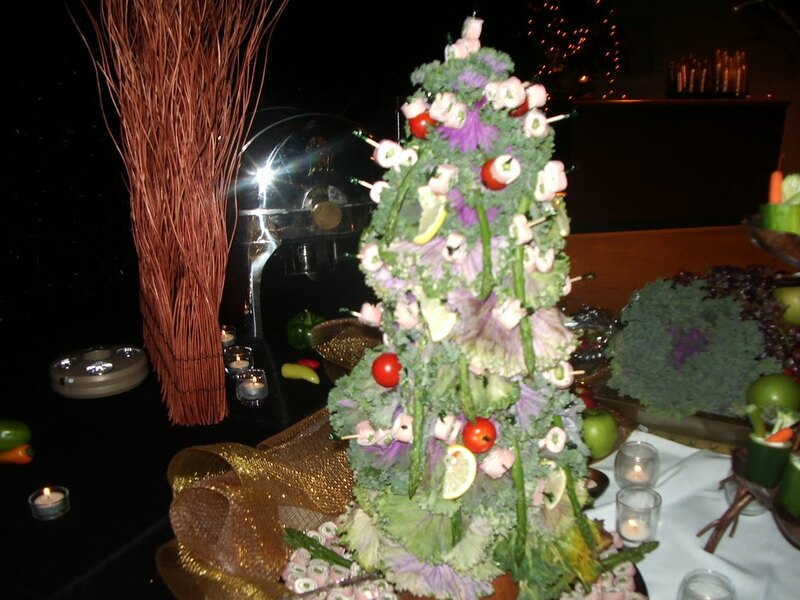 Best Catered Events served a fresh berry and spinach salad and our "Voodoo". 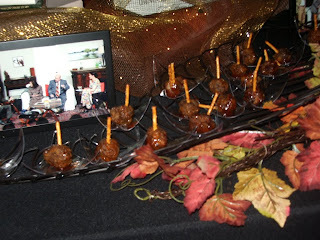 Many nice compliments were received and we booked a few events this afternoon as well. 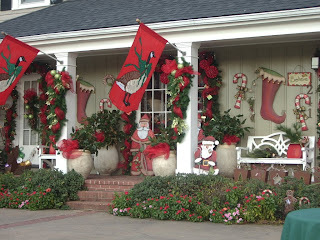 The shop was decorated fabulously both inside and out. I fell in love with several things and Kathy and Pat each bought some "treasures". 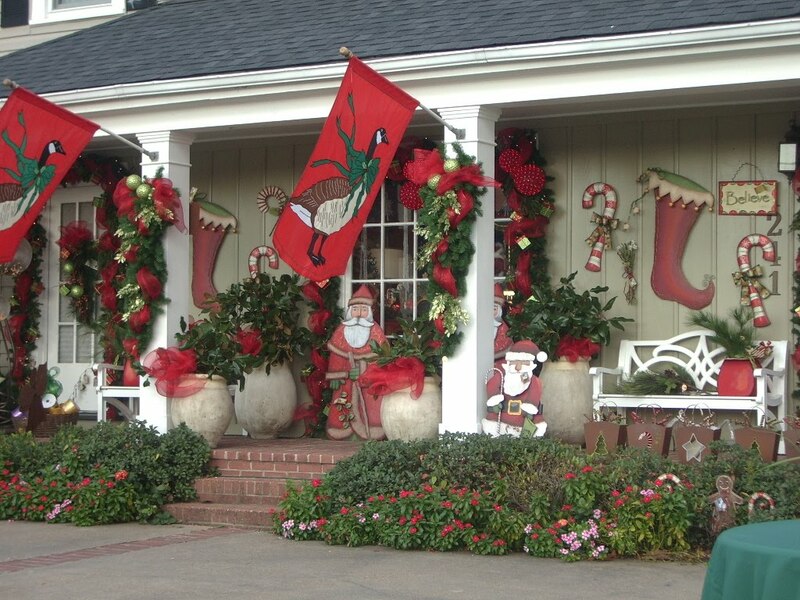 We would like to thank Rick Ferguson Flowers and staff for a very nice afternoon! Noel Laderer married Joshua Danos. 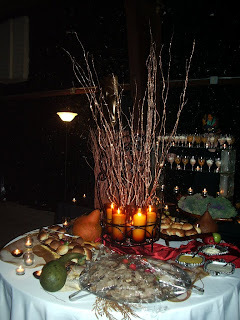 The reception was held at the beautiful Courtyard on the Ridge in Harahan, LA. Executive Chef Bill Laderer is the bride's father and we assisted Chef Bill with his daughter's wedding. Lamb Chops with a rosemary demi glaze, seared Ahi Tuna in crispy wonton cups, jumbo lump crab nuggets with a ragatute sauce, Oyster Bleus, Filet Kabobs, Cedar Plank Smoked Salmon, fried catfish, Shrimp and Grits Bar, chef action station with made to order gyros, Asian station featuring Vietnamese Spring Rolls with Peanut Sauce, Vegetable Crudite, Shrimp Mousse, cocktail muffalettos, and Voodoo all provided the guests with a wonderful variety of choices. The premium open bar featured the "Danostini", a purple drink that the guests loved. The Courtyard on the Ridge staff was wonderful to work with. They are some hard working and very friendly staff for sure. Chef Dianne Evans enjoyed assisting a fellow Catersource Forum Buddy to provide a wonderful reception for a beautiful bride and her new husband. Congratulations from Best Catered Events!